Running out of room in the kitchen? 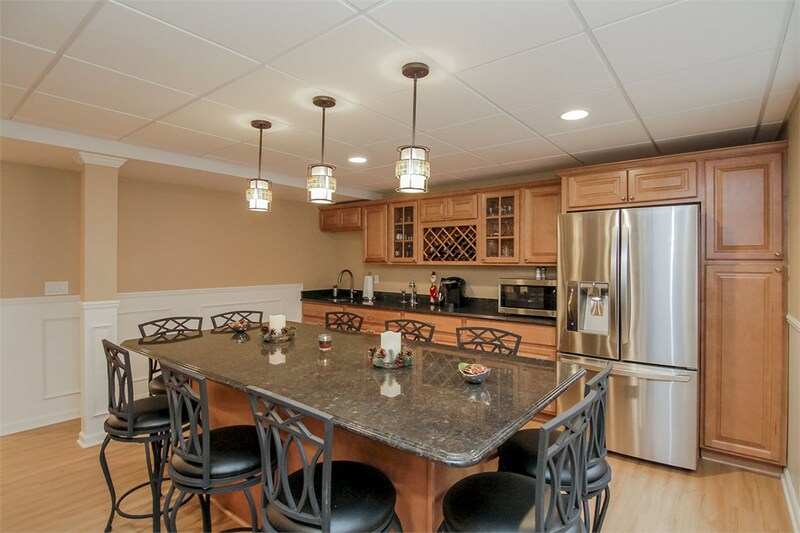 We’ll double your prep and cook space with a beautiful and functional basement kitchen. Would you like to be able to pop some popcorn or whip up gourmet baked goods during a family movie night in your basement theater? 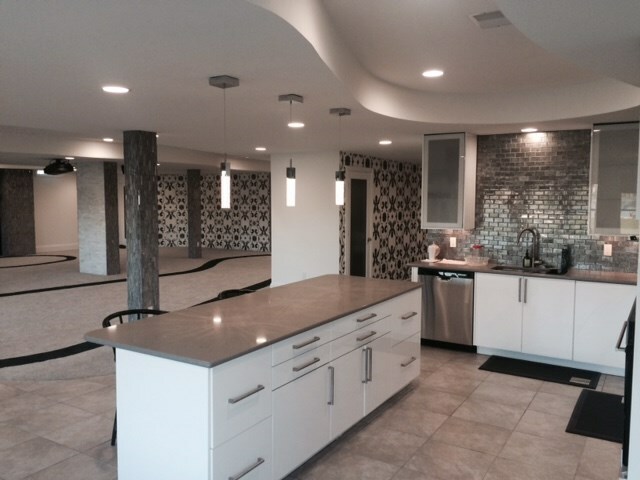 Perhaps you’re looking to rent out your basement and need to add a kitchen to make the space fully livable. Whatever your plans might be for your Ann Arbor basement kitchen, Matrix Basement Systems is here to build it to your exact specifications! As Michigan’s leading basement remodeler since 2009, we’ve completed more than 3,500 basement projects—and we’d be happy to make your basement better with a professionally designed kitchen. 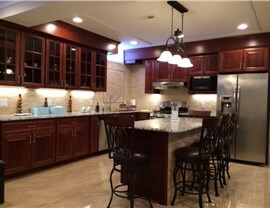 From small efficiency kitchens to expansive kitchens with a built-in bar and center island, we’ll create the ideal space for your cooking and entertaining needs. When it comes to basement kitchen remodeling in Ann Arbor, there’s no crew more trusted than Matrix Basement Systems. 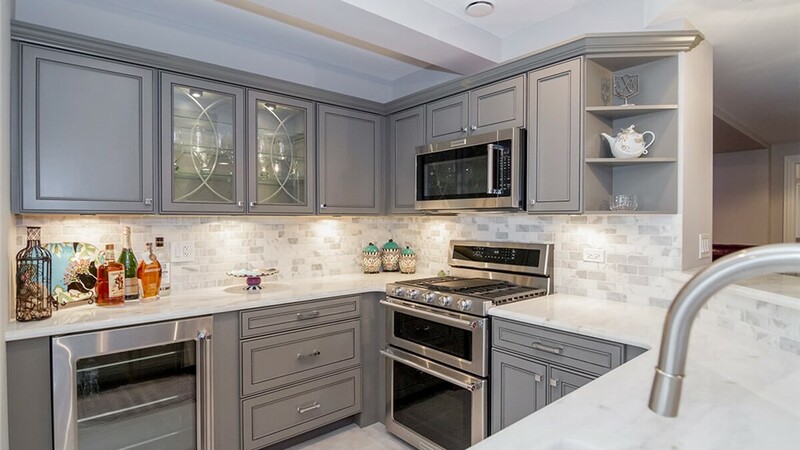 In fact, we’re the area's largest basement finishing company—giving you complete confidence in our skill and quality for any basement kitchen renovation! In addition to these premier benefits, we offer a price-match guarantee to all of our valued customers in Ann Arbor. 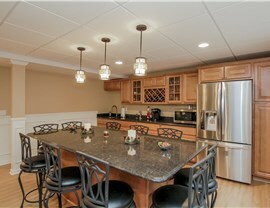 If you receive a written quote for a comparable basement kitchen renovation, we’ll match the price! Whether you want a quick update to your existing basement kitchen or need to completely revamp your currently unfinished basement, Matrix Basement Systems is the first call to make. Our Michigan basement finishing experts are standing by to assist, so call us today! You can also sign up for your free Ann Arbor basement kitchen cost estimate by sending in our online form at any time.